I am rounding up some great sales this weekend. I love the "rustic" winter feel of these looks. It makes me so glad that I bought MY CABLE KNIT SWEATER that was only $35 (and right now an even better price). And, I found THIS PLAID SCARF for only $8 that would look great with it. This is a pretty winter white boucle jacket that is 50% off with free shipping. This sweater is on sale for $6. This “ski” sweater is on sale for $25. This sleeveless sweater vest is under $20. This shaggy faux fur jacket is only $28. It seems like everyone has a faux fur leopard jacket - this one is under $40. Winter white pants are so much fun to style - and these are under $40. This fun “Let It Snow” sweater is on sale for $15. These suede booties are 40% off and under $50. I tried on this lace up sweater - it’s really cute and on sale. I shared more deals yesterday HERE. And, as you know I LOVE sweaters - which I have shown with all my try on sessions lately. It's probably the fact that I live where it is cold and snowy (for many months) makes me want to bundle-up in a warm sweater. 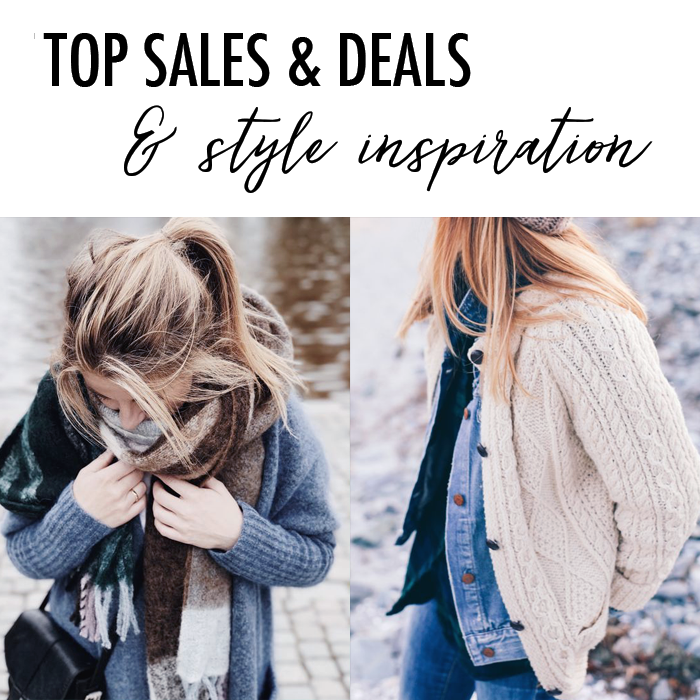 These sweaters below all look so cozy and are on my "WISH LIST". 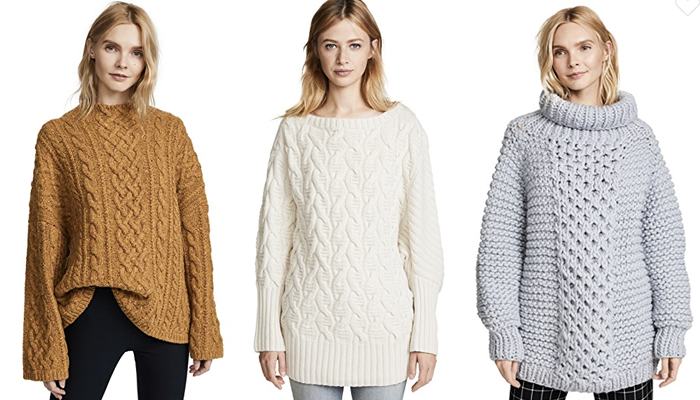 I especially love the large knit one on the right - but I also like a good fisherman or cable knit sweater, too.